Contact us for information about services available in your community, and to tell us a bit about your, or your client’s, situation. This will assist us in evaluating the extent of your requirements and the kinds of services and funding sources that may be required and are available to you. If further in-depth involvement is required to explore alternate means and service provision, Service Coordination is available for consultation. 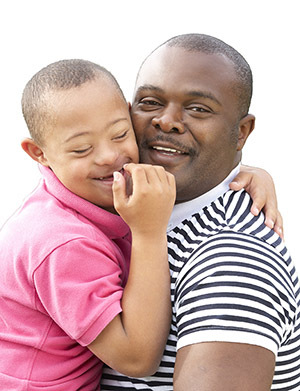 Provided that legal consents are in place, a Coordinator can meet directly with the requesting party (family, child, professional or agency) to identify specific services and to assist in accessing services. The Service Coordinator can also attend agency or school meetings to support service planning and to help the involved parties navigate the service system. Community Case Conferencing is available if the child’s needs cannot be addressed through information sharing and/or consultation services. Through the Community Case Conferencing process, a Lead Agency or Case Manager is identified. Then, one or more community case conferences takes place with the goal of generating an Integrated Service Plan to present a holistic approach to meeting the needs of the young person and his/her family. 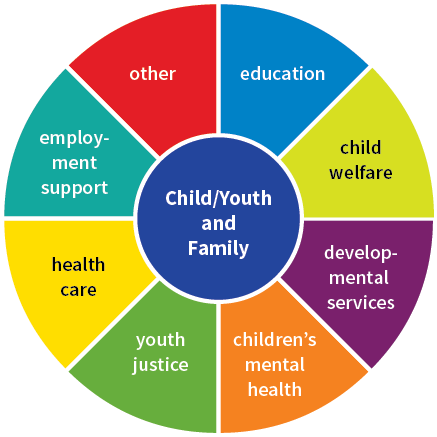 At these conferences, individuals from the following areas may be in attendance: education; child welfare; developmental services; children’s mental health; youth justice; health care; employment support; and other supportive individuals invited by the young person or his/her family to participate. The Community Case Conferencing process encourages the local community to be flexible in their service provision, and may involve the need to access regional or extraordinary resources. An agency may make an application, on their client’s behalf, to access funds that will purchase a support or service that is beyond the community’s capacity to provide. The plan presented in the application must demonstrate that the need is short-term or that it is bridging to plan that is sustainable. The Four Counties Allocations Committee meets regularly to review these applications. The agency has a small resource library where books are available for sign out to parents/caregivers or agencies. Topics include: Parenting, Bullying, Behaviour Management, Divorce, Collaborative Problem Solving, Substance Abuse, Self-Esteem, Social Skills, Anxiety and Healthy Communities. Service Coordination helps connect you or your client to the appropriate services, when they are needed.